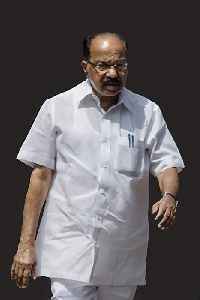 Marpadi Veerappa Moily is an Indian politician belonging to the Indian National Congress from the state of Karnataka. He is a member of the 16th Lok Sabha and represents the Chikballapur constituency. He was the former Minister of Petroleum and Natural Gas Minister of Corporate Affairs and Minister of Power in the Indian government. Moily was elected as MP of the Chickballapur district by a wide margin in 2009. While local leaders slug it out to prove credentials of Modi and Congress President Rahul Gandhi, farmers are facing a drought-like situation for the 14th year in a row. Seeing politicians indifferent..